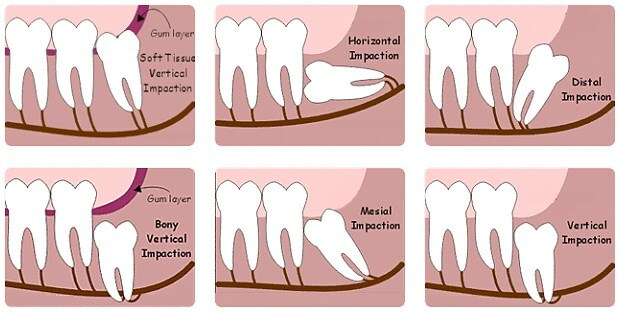 Wisdom teeth are very vulnerable to damage, and may also need removal due to a process called ‘impaction’. This is where the teeth don’t have enough room to grow, and therefore don’t grow fully, or grow at an odd angle. In this case, the teeth have to be removed before they cause more damage to the gums and surrounding teeth. They can also cause pain and swelling in the mouth which affects your daily life. In a wisdom tooth removal, we offer you a range of options, including local anaesthetic, or our popular option of IV sedation. Local anesthetic is used to numb an area of the mouth, and with this option there may be some feeling of pressure (not pain) as the dentist works. Sometimes, the procedure can take more than 20 minutes to complete. Our dental clinic performs a lot of wisdom teeth extraction under sedation, and many of our patients come long distances to get this service. This is because IV sedation offers the best of both worlds: it makes you feel more relaxed than local anesthetic, blissfully unaware of the treatment being completed, so there is less discomfort and unpleasant sounds, and it can make a 1-2 hour treatment feel like ten minutes to the patient. Instead, IV sedation allows our dentists to carry out the work quickly and accurately, and many of our patients do not even remember the treatment afterwards. 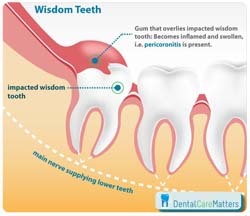 In addition, sedation is perfect when more than one wisdom tooth needs to be removed at the same time. To find out how we can help Birmingham residents with any type of tooth extraction, including impacted wisdom teeth, call us and book your free consultation today.